A personalised weekly training program created by Norbert, after discussing your running goals. Video analysis of your running style. Follow-ups via phone or email. Tips on nutrition, fuelling, training gear and footwear. As a father Norbert has a special interest in training young people to become accomplished runners with a quality training program at the start of their running journey. These sessions are the same as the adult sessions, however an additional adult (usually a parent) is required to be present for safety reasons and support. Norbert understands the impact a parent can have on their child's confidence and success simply by being there and telling their child "I love watching you run". Norbert holds a Bachelor of Education and current Blue Card. Take advantage of this discounted price for a comprehensive 12 week training program specifically designed by Norbert to meet your running and fitness goals. Includes all the benefits of a regular 60 minute session but enables you to save money and make a rap commitment to your health and running goals. Whether you are preparing for specific event or simply want a way to get fit that makes the most of being in nature then this is a great way to get the most of your running coach. Please note - all clients of eRun Coach are required to complete a short health questionnaire and agree to the Terms and Conditions prior to their first training session. 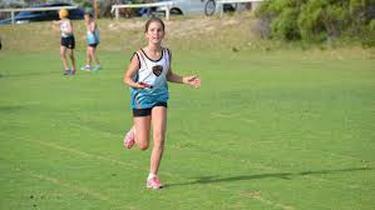 ​Your coach, Norbert Petras, is an elite runner from Peregian Beach with over 20 years experience as a running coach. Be empowered with a personalised training program to help you run faster, stronger and longer. Get race ready - we specialise in race preparation for all local events, including the Noosa Triathalon, Noosa Winter Festival, Run Noosa, Doomben Half Marathon, Redcliffe Jetty-to-Jetty, Bridge to Brisbane, Brisbane City2South, Gold Coast Marathon and more. Overcome ﻿﻿recurring injuries﻿﻿, including knee pain, ankle problems and tight ITB's. 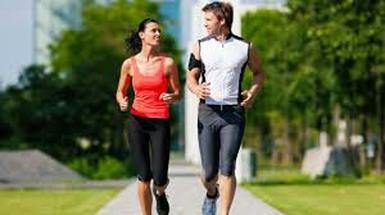 Learn how to tune into your breath and shake off mental blockages while running. Work through obstacles such as illness, injury or work and family commitments. Discover Arthur Lydiard's endurance style training system and advice about barefoot running. Ask any professional athlete the secret to their success and they will tell you it is all about having the right training program created with the right coach. Do you want to run faster and better? Norbert Petras can make this happen. With his caring and strategic approach to coaching he will help you overcome mental barriers, physical injuries (you know the ones - shin splints, sore knees and tight ITB's) and inspire you to be a committed runner for life. Norbert will help you to enter races, improve race times, get into the zone and, most importantly, have fun! Norbert is passionate about barefoot running and can share his knowledge and training tips about how to adopt this style of running, which has become popular since the publication in 2009 of the bestselling book Born to Run, by Christopher McDougall. Norbert enjoys running on grass, sand and dirt tracks in many of his training sessions to be gentle on the body. Whether you are a beginner or an experienced runner, male or female, 8 or 88 years old, you will become a better athlete under Norbert's guidance. Give eRun Coach a call and have a chat about how we can help you be your best, or send an email to book one of the training sessions listed below. * This statistic is based on my experience with my clients.